Self monitoring of blood glucose (SMBG) is touted as an effective and significant device for the management of diabetes, primarily for those who need to keep a check on their diabetes regularly. Self monitoring offers regular feedback for the patient, nevertheless to go ahead with what type of measurement is totally your personal call made on the basis of requirement. Monitoring is only best utilized if it is used to inform decisions (adjusting tablets or insulin dosage). Monitoring blood glucose can play an important role in improving metabolic control in patients with diabetes. 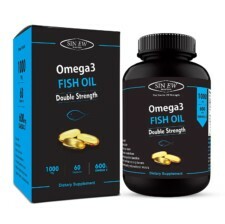 It is recommended for patients treated with insulin and is desirable for all patients with diabetes. Judicious use of MBG data can help to improve glycemic control, select an anti-diabetic regimen, and provide powerful feedback to patients wishing to improve metabolic control. Monitoring of blood glucose (SMBG) is an important component of modern therapy for diabetes mellitus. MBG has been recommended for people with diabetes and their health care professionals in order to achieve a specific level of glycemic control and to prevent hypoglycemia. The goal of SMBG is to collect detailed information about blood glucose levels at many time points to enable maintenance of a more constant glucose level by more precise regimens. It can be used to aid in the adjustment of a therapeutic regimen in response to blood glucose values and to help individuals adjust their dietary intake, physical activity, and insulin doses to improve glycemic control on a day-to-day basis. Enhancing patient education and patient empowerment regarding the effects of lifestyle and pharmaceutical intervention on glycemic control. Numerous trials have been carried out to determine the true impact of SMBG on glycemic control. Some, including randomized, controlled trials, have demonstrated the efficacy of SMBG. Among patients with type 1 diabetes, SMBG has been associated with improved health outcomes. Specifically, increasing frequency of SMBG was linearly correlated with reductions in HbA1c among type 1 patients in Scotland. Among patients with type 2 diabetes, a higher frequency of SMBG was associated with better glycemic control among insulin-treated patients who were able to adjust their regimen. Other studies, however, have suggested that SMBG has not achieved its true potential impact as an aid to improving glycemic control. Diabetes empowerment upgrades diabetes self care behavior of a person (including diet, blood glucose monitoring and taking extra foot care). It is to be noted that when diabetics themselves perform self monitoring, education through proper medium acts essential in understanding the disease all the more. Step counters, or pedometers are small devices that you wear either as waistband or belt that counts how many steps do you take. Motion sensors within the device pick up on movements like walking, running and jumping. Pedometers range from very basic to technologically advanced versions that can upload to your computer. The sharp accuracy of these devices rely on various factors. Deciding which pedometer is apt for you depends on your needs and fitness aspirations. A pedometer is a device, usually portable and electronic or electromechanical, that counts each step a person takes by detecting the motion of the person’s hands or hips. It is because the distance of each person’s step varies, an informal calibration, performed by the user, is required if presentation of the distance covered in a unit of length (such as in kilometres) is expected) though there are now pedometers that use electronics and software to determine how a person’s step differs. Distance traveled can be measured directly by a GPS tracker which has made the device technologically advanced. Mercury Sphygmomanometers are regarded to be the ultimate blood pressure equipment. They measure blood pressure by observing the height of a column of mercury, which does not need recalibration. Aneroid Sphygmomanometers are in common use; they may require calibration checks, unlike mercury manometers. 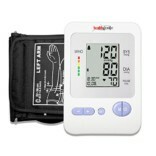 Aneroid Sphygmomanometers are considered appropriate and safer than the previously mentioned mercury sphygmomanometer. It is although inexpensive ones are less accurate. Digital Sphygmomanometers use oscillometric measurements and electronic calculations rather than auscultation. They may even use manual or automatic inflation. These are electronic, easy and simple to use without any complications. Nevertheless, they are not as accurate as mercury instruments. 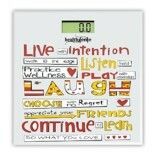 A digital weighing scale is a measurement device used to measure the weight of an individual. 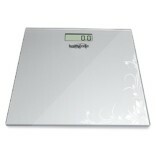 Digital scales are usually compact, lightweight and durable. 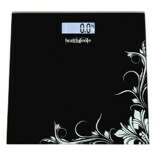 There is a plethora of weighing scales offered at Healthgenie.in to give you the best platform to choose your pick understanding your own needs. Each weighing scale exhibits its own distinct features such as sensor gauge technology, one touch operation, low battery indicator, etc. which are much useful for each individual’s needs. 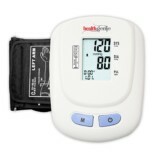 Diabetic combos involves combinations of strips, bp monitors exclusively in reaping best benefits. These diabetic combos include a mechanism which is Accu Chek combos and virtually pain-free and gives accurate results in just five seconds. Large display and easy handling with Auto Coding Technology along with a lifetime warranty makes it the best choice among glucometers in India. 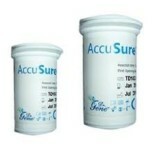 It has a flexible dosing in or out of the meter which offers results in approximately 5 seconds. It is also small &lightweight about the size of a cell phone and has automatic on/off. 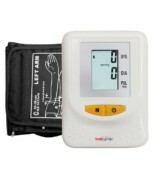 It is used for self testing the blood sugar level and helps you check your blood sugar level within the comfort of your home.